Each morning I rise with a new understanding of the golden battlefield before me. 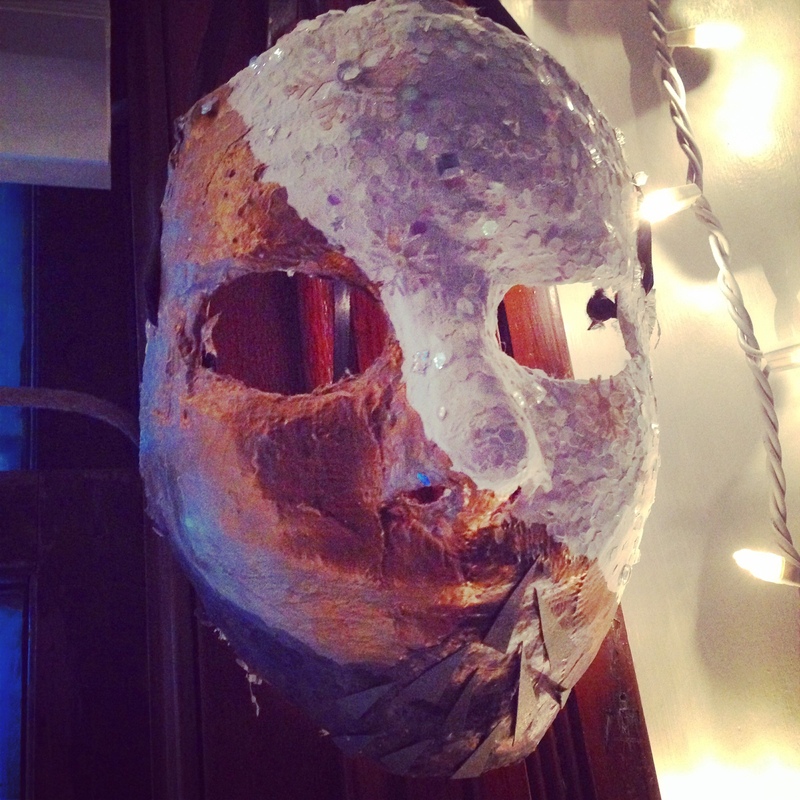 This mask came into my life about eight years ago after a very intense guided meditation. I’m just now stepping into the rich, dense darkness of its lower half. Slowly sinking into the realization that the darkness of her isn’t something to suffer through, avoid, dread or fear. She is the depth and ferocity of the Warrior Priestess. She is the vanquisher, not the vanquished. She is the conquerer, not the conquered. She is the fire bearer bent on burning down the untruths that keep us bound and blind. She is the liberator. How are you befriending your darkness?